There is also synthetic (man-made) caffeine, which is added to some medicines, foods, and drinks. For example, some pain relievers, cold medicines, and over-the-counter medicines for alertness contain synthetic caffeine. So do energy drinks and "energy-boosting" gums and snacks. What are caffeine's effects on the body? What are the side effects from too much caffeine? Some people are more sensitive to the effects of caffeine than others. What are energy drinks, and why can they be a problem? Energy drinks are beverages that have added caffeine. The amount of caffeine in energy drinks can vary widely, and sometimes the labels on the drinks do not give you the actual amount of caffeine in them. Energy drinks may also contain sugars, vitamins, herbs, and supplements. Companies that make energy drinks claim that the drinks can increase alertness and improve physical and mental performance. This has helped make the drinks popular with American teens and young adults. There's limited data showing that energy drinks might temporarily improve alertness and physical endurance. There is not enough evidence to show that they enhance strength or power. But what we do know is that energy drinks can be dangerous because they have large amounts of caffeine. And since they have lots of sugar, they can contribute to weight gain and worsen diabetes. Sometimes young people mix their energy drinks with alcohol. It is dangerous to combine alcohol and caffeine. Caffeine can interfere with your ability to recognize how drunk you are, which can lead you to drink more. This also makes you more likely to make bad decisions. Who should avoid or limit caffeine? 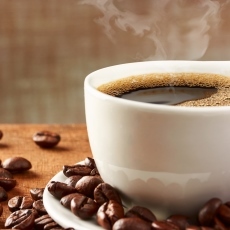 Article: How to recognize caffeine overdose.